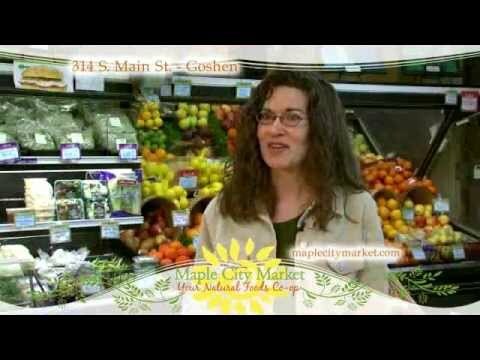 Maple City Market believes that the most value and highest nutrition is achieved in food by using all natural, local and organic ingredients when possible. Offer a wide variety of high quality ingredients available in just the right quantity. We have grains, beans, baking ingredients, granolas, snack items, teas, coffees, treats, nuts, seeds, dried fruits, nut butters, oils, honey and syrups, herbs and spices just to name a few. There are many organic, natural, raw and non-raw options available as well. Whether you’re looking for local organic white and wheat flours, organic raw cashews, organic quinoa, or organic raw almond butter, to name a few, we will be happy to provide the amount you need. Maple City Market - I love it!